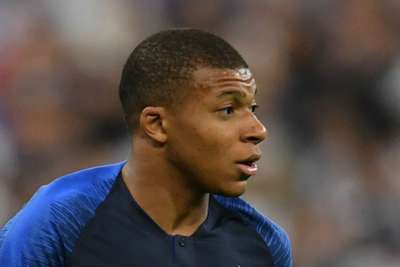 France made it two wins from two in Euro 2020 qualifying Group H as they cruised past Iceland 4-0 at Stade de France on Monday. Didier Deschamps' side got their campaign off to a routine start with a 4-1 win over Moldova on Friday and wasted little time setting up another comprehensive win upon their return to Paris, Samuel Umtiti heading home in the 12th minute. Olivier Giroud, Kylian Mbappe and Blaise Matuidi all missed opportunities to extend their advantage during the first half, however, and they were almost punished for their profligacy when Birkir Bjarnason tested Hugo Lloris shortly after the interval. Giroud, Mbappe and Antoine Griezmann ensured a drama-free finish for the World Cup winners, though, all scoring inside the final 22 minutes as Les Bleus turned on the style to wrap up the most comfortable of three points. An excellent performance by Les Bleus at the Stade de France. France started with a spring in their step and forged head when Umtiti headed Mbappe's inswinging cross into the net via the right-hand post. Iceland goalkeeper Hannes Thor Halldorsson did well to tip over Giroud's header five minutes later, before Mbappe and Matuidi both squandered chances from promising positions. They were almost punished for their failure to take those chances when Bjarnason's long-range drive was repelled by Lloris at the start of the second period. Benjamin Pavard fizzed a half-volley narrowly past the post before turning provider for his side's second. His teasing cross from the right was missed by Halldorsson, giving Giroud the opportunity to find the net with his thigh from close range. Mbappe then completed a superb individual display 12 minutes from time, collecting Griezmann's pass and showing marvellous strength and balance to hold off his man and poke past Halldorsson for his 12th international goal. Those two combined again in stunning fashion six minutes later as Griezmann latched onto Mbappe's sumptuous backheel to clip over the onrushing Halldorsson and put the seal on a fine win. For a long time after Umtiti's goal it looked like it would end as a frustrating night for Deschamps' side with his forwards guilty of numerous missed chances. The France boss will care little about that profligacy now after a late blitz floored Iceland and demonstrated exactly why they are world champions. The 20-year-old overtook Karim Benzema as the youngest player to make 30 appearances for France and marked the occasion in some style. His finish was typically assured and the assist for Griezmann's goal was a thing of beauty. Thanks to France's wastefulness, Iceland remarkably approached the final 20 minutes with a chance of clawing their way back into the game. As it was, Halldorsson made a hash of Pavard's cross to give Giroud the easiest of finishes and end their hopes of leaving Paris with a point. France travel to Turkey for their next qualifier on June 8, while Iceland host Albania on the same day.